Why do the eyes of HR people always light up when you mention the word “Workday”? Has Workday become the “complete suite” for the HR function, in a similar vein that SAP did with the CIO in the 1990s? 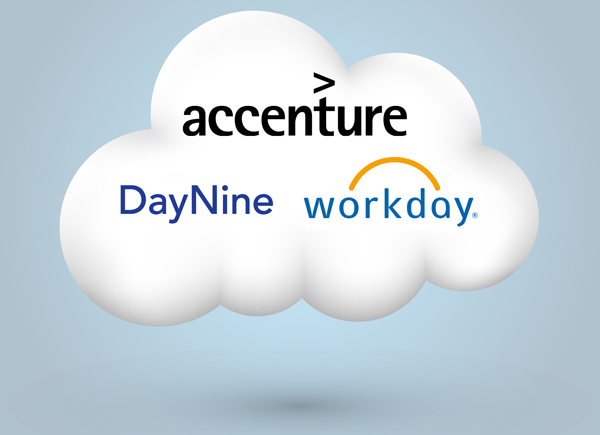 Well, judging by the feverish excitement from the leading service providers to scoop up the best and brightest of the star niche players, the battle for Workday services supremacy has hit fever pitch, with Accenture following IBM’s and KPMG’s recent acquisitive forays in the space with the purchase of DayNine. What did we tell you last week? Workday Services Blueprint 2016: Lots of Changes in this still Immature Market . Yes – this market is moving fast with even more consolidation in the Workday services market! Accenture’s latest move in this competitive game has potentially check-mated its closest competitors, at least in the short-term. Instead of just acquiring a set of specific technical or geographical delivery capabilities, Accenture has targeted one of the leading Workday services partners in the market. Both service providers did very well in the recently published Workday Services Blueprint 2016 report. We positioned Accenture and DayNine in the Winner’s Circle because they both demonstrated depth of experience and capabilities, impressive investment in tools and technologies to support deployments, and a focus on talent retention, all supported by strong client references. In fact, we positioned DayNine as the best executor in the Blueprint. We estimate that the combined entity has a total of 1,275 people in the new Workday practice, including an estimated 1,152 certified Workday consultants. This is bigger than the largest Workday practice we have seen so far at Deloitte. Moreover, Accenture consultants hold an average of 2 Workday certifications each, and at DayNine this figure is 3.5, among the top 4 in the Blueprint. Of course, it’s not all about pure scale. DayNine gains access to Accenture’s broader consulting capabilities and innovation around service development. Accenture gains access to medium sized enterprises and additional skills in Europe, which is a hot growth area for Workday services next year. This initiative also aligns neatly with Accenture’s Cloud First growth agenda. It acquired Salesforce services partner, Cloud Sherpas last year (see: Why Accenture's acquisition of Cloud Sherpas is both an offensive and defensive move) and more recently, Italy-based Salesforce solutions provider, New Energy Group. By acquiring DayNine, Accenture will have the opportunity to create genuine synergy from this acquisition, if they can realise the ’1+1=3’ value proposition that this appears to be on paper. Yes, there is a lot of work to do as there always is when acquiring any IT services entity. But if the strategic alignment and energy from Accenture Cloud First Applications lead, Saideep Raj, Accenture Workday practice lead, Beth Boettcher, and DayNine CEO and co-founder, Tim Ramos (who will lead the new Accenture DayNine group), is anything to go by, the main recommendation for competitors is to Watch Out! Premium HfS subscribers can access the new HfS Blueprint Report: Workday Services 2016 here.